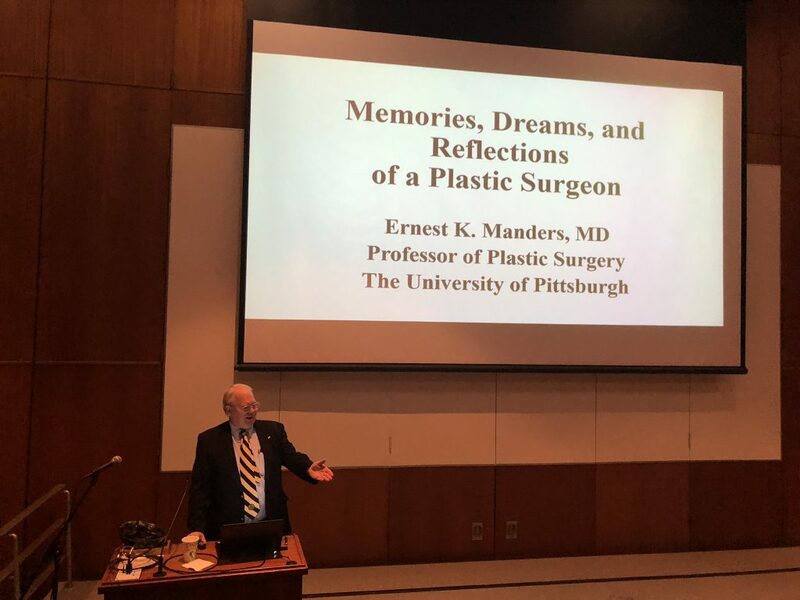 On June 27, 2018, the Department of Plastic Surgery at the University of Pittsburgh celebrated the advancement of Dr. Ernest K. Manders to the title of “Professor Emeritus.” This is a very prestigious title at the University. 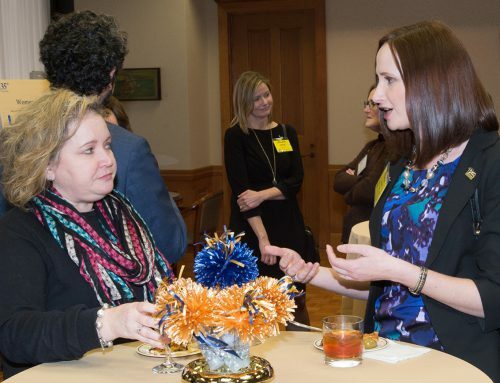 Not everyone who retires is honored with the degree of professor emeritus. This is a specific designation bestowed upon the recipient by the Provost and Chancellor. Dr. Manders was born in Ocean Falls, British Columbia, Canada, in 1945. This small island off the northern end of Vancouver was only accessible by air or boat and today has a population of only 17 people. Dr. Manders’ father was a chemical engineer and the family travelled around North American building and managing pulp and paper mills. Dr. Manders spent part of his high school years in Alabama, and then graduated from Marshfield High School in Coos Bay, Oregon. He met his wife Sandra in high school in 1965 and they married in 1968. In 2018, the year that Dr. Manders is honored with the title professor emeritus, he and his wife celebrated their 50th wedding anniversary. Dr. Manders attended Harvard College and Harvard School of Medicine before training in both general and plastic surgery at the University of Michigan. He did a research fellowship at the National Institutes of Health. He started his faculty career at Pennsylvania State University, and served of Chief of Plastic Surgery for 10 years. We were fortunate to have Dr. Manders join the University of Pittsburgh Plastic Surgery Program in 1997. 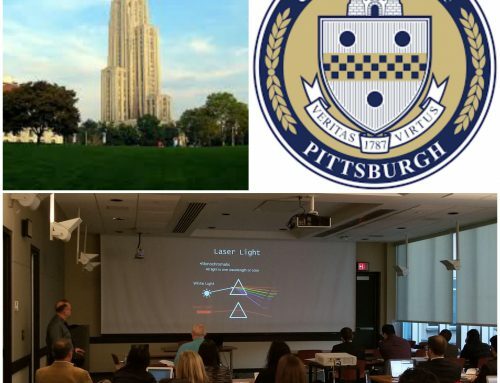 During his time at the University of Pittsburgh, Dr. Manders has been a phenomenal l teacher, master surgeon, notable innovator, and all around exceptional colleague. He has made numerous contributions to the University of Pittsburgh Plastic Surgery Program and our specialty of plastic surgery. Dr. Manders founded a biotechnology company, Promethean LifeSciences, Inc., which manufacturers gamma-eradiated acellular dermas. Promethean has been in existence for over 20 years. Dr. Manders also innovated many of the tissue expander designs that are currently used in plastic surgical practice. At the time of his earning the title of professor emeritus, Dr. Manders is enjoying his family of four children and six grandchildren. Dr. Manders funded and directs the Rural Plastic Surgery Clinical and Educational Program in Coos Bay, Oregon. 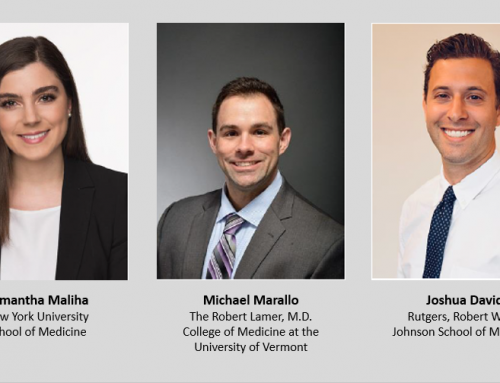 This forward-looking program brings critical plastic surgery services to an underserved rural region, and trains plastic surgery residents during elective rotations in rural plastic surgery. Since starting the program, Dr. Manders has been instrumental in recruiting two fulltime faculty members to the clinical center in Coos Bay. While many surgeons, upon reaching the title of professor emeritus, may choose to spend their time solely in leisure activities, Dr. Manders will be continuing to operate in Coos Bay, Oregon. 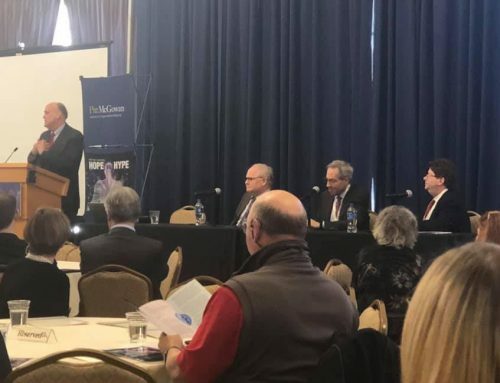 He will also be continuing to run his biotechnology company and will retain his clinical privileges at the University of Pittsburgh. 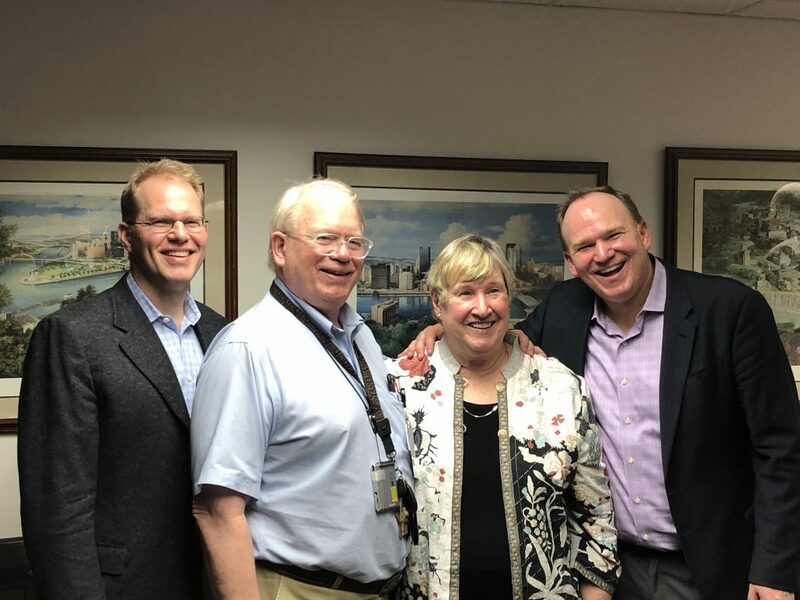 We look forward to Dr. Manders’ continued contributions to the clinical and educational mission of our Department and congratulate him on this prestigious title. Copyright © 2018 University of Pittsburgh Department of Plastic Surgery. All rights reserved.